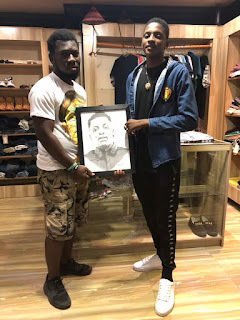 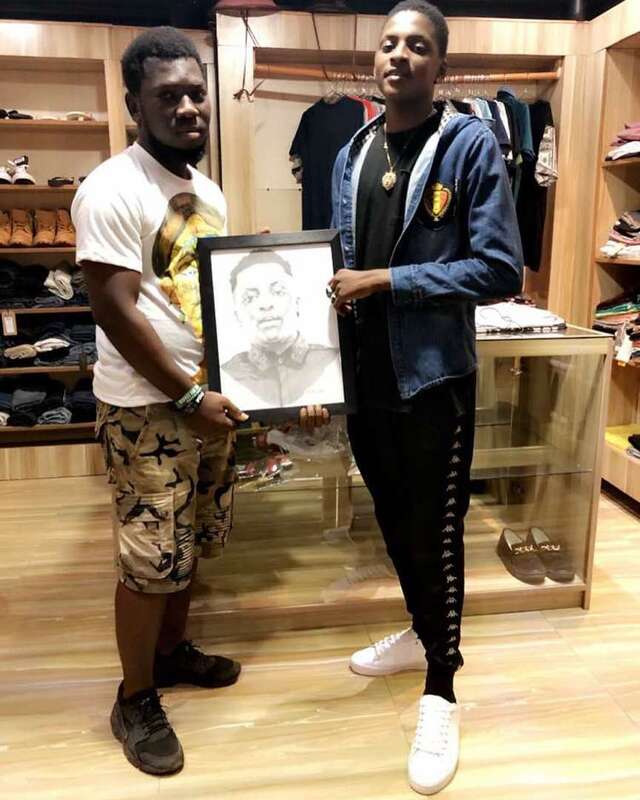 Home / Entertainment News / Miyakimusic / MIYAKI receives hand-drawn portrait of himself from fan Pablo Dag Sapashini Burniton. A young individual named Pablo Dag Sapashini Burniton on Thursday evening presented to MIYAKI aka (youngest in Charge) a handmade painting of him. 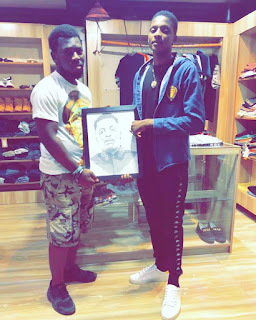 MIYAKI was so delighted to have received the portrait and ask to snap a few photographs with Pablo Dag in NIMA at the Zhat Shop where he meet the young artist and the portrait was presented to him. 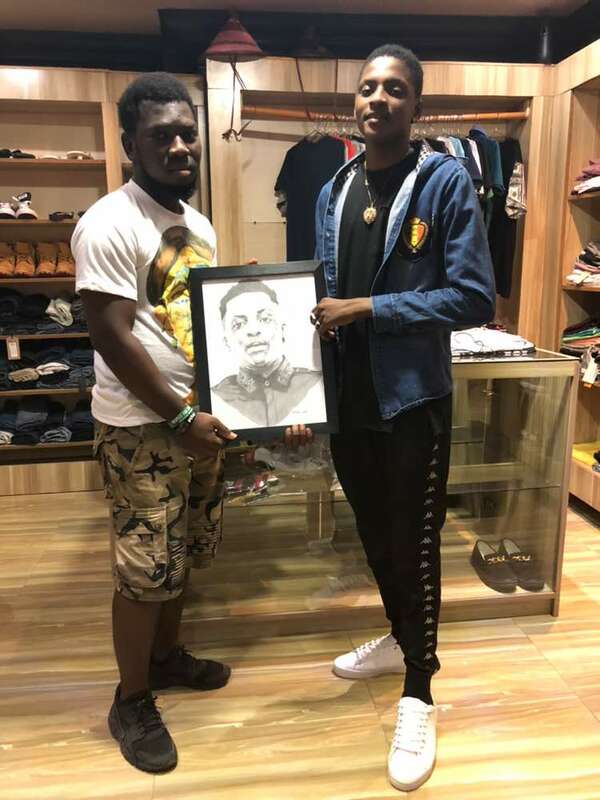 Pablo Dag Sapashini Burniton did well as a young artist putting in good efforts to draw the portrait, Pablo expressed how he was more than happy to have personally met MIYAKI after travelling all the way from Kasoa to meet MIYAKI and hand him the gift. 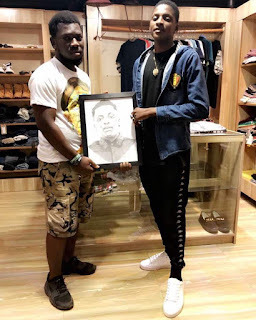 MIYAKI is legendary group VVIP’s new signed artist under their label Vision Music Group and was first seen on VVIP’s Koliko song which he was featured on, as well as Vision DJ’s Chuku song which he did marvelously well on both songs. 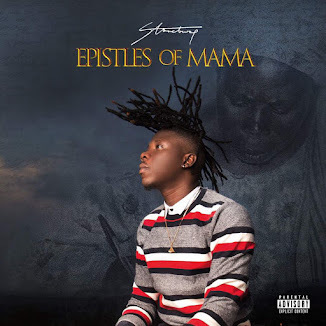 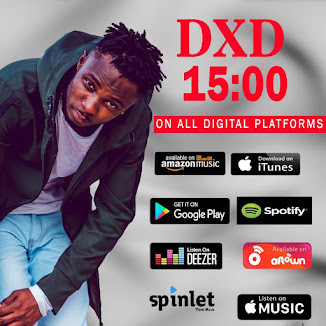 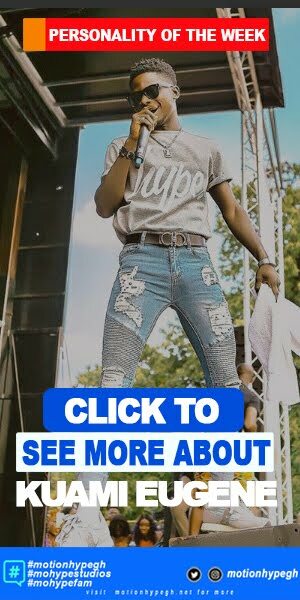 MIYAKI is set to release his songs and videos in a few weeks away and he’s expected by his fans and many to take over the music scene with his dynamics in style of music, as he currently stand as the only young musician in the Ghanaian music scene mainstream. 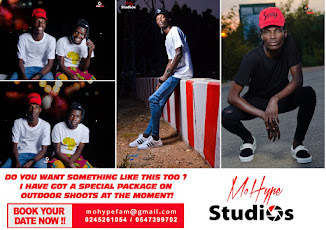 Pablo Dag the fan contacted MIYAKI on Facebook and said he would like to meet him and present a drawing to him which MIYAKI and his team agreed on to meet him at NIMA, on Thursday 18th January. 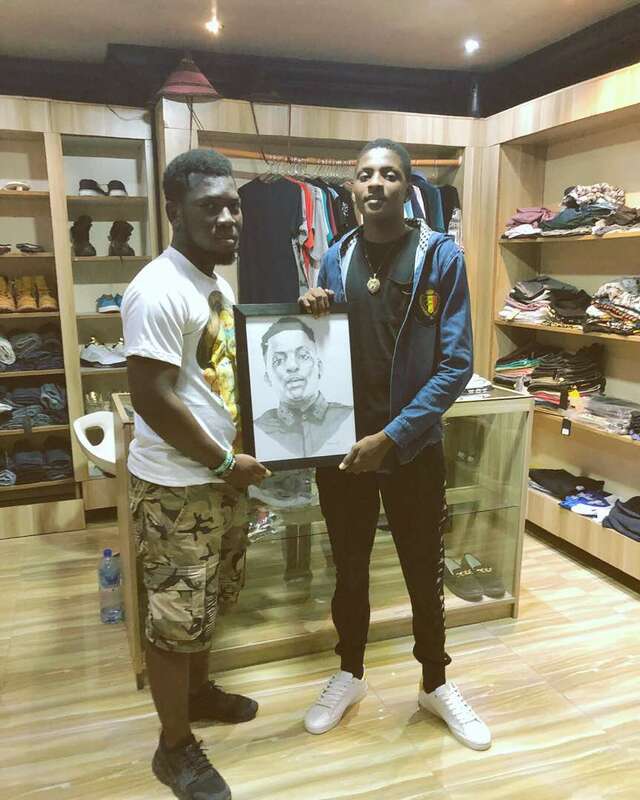 To MIYAKI’s surprise, the young man lived at Kasoa and traveled all the way to Accra- NIMA to make the delivery. MIYAKI loved the portrait and stated that this happens to be his first portraits and he really appreciate it.